Your conference registration includes local activity, all meals, access to all conference sessions, keynote addresses, refreshment breaks, opening and industry partner reception, the exhibit area, and other non-ticketed events. JP Lord Tour: There are only 15 available spots for this tour – you must add it to your registration (under programs) if you plan to attend. We will not be adding seats to this tour. All others will tour the Omaha North HS Robotics Lab and Annex. All registration payments are required prior to the start of the event. I cannot attend the event. Can I get a refund? All requests for cancellations and refunds must be made in writing and emailed to Donna Robinson with "MWGL 2019 Cancellation Request" or "MWGL 2019 Refund Request" in the subject line. There is a $50 processing fee for all cancellations. No refunds will be issued for registrations cancelled or created after 11:59 p.m. ET on April 5, 2019. Credit card refunds will be issued at the time of cancellation. Check refunds will be issued within 60 days of the cancellation request. Can I send someone in my place if I am unable to attend? If so, how do I do that? Yes, if you will be unable to attend you can send someone else in your place. To do this please provide written request to Donna Robinson, stating the name of the person who cannot attend and the person's name that will be replacing them. If payment has already been received no additional payment is necessary, if payment has not been received then the new attendee is responsible for payment. Please be advised substitution of person in a different registration category may result in additional fees or a refund. Refunds of this nature will be issued immediately, all additional payments will be required prior to the start of the event. Substitutions will be honored until 5 p.m. ET April 15, 2019. MWGL Event is held in a public space, therefore we do not prohibit participants, exhibitors, sponsors, news organizations and other companies from photographing or video or audio-taping some event activities. 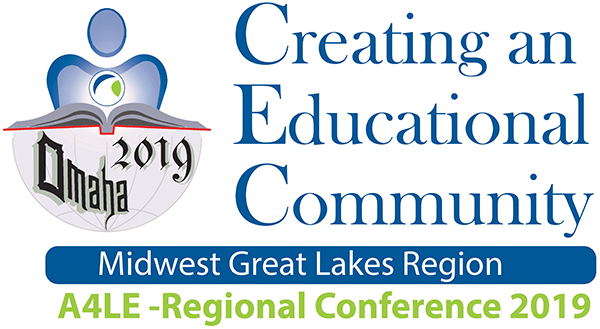 By submitting a registration for the 2019 MWGL Region Event, you (conference attendee) and any guests will be granting permission for the use of your name, and/or photographs taken at the conference, to be used on the website and/or in subsequent marketing materials.